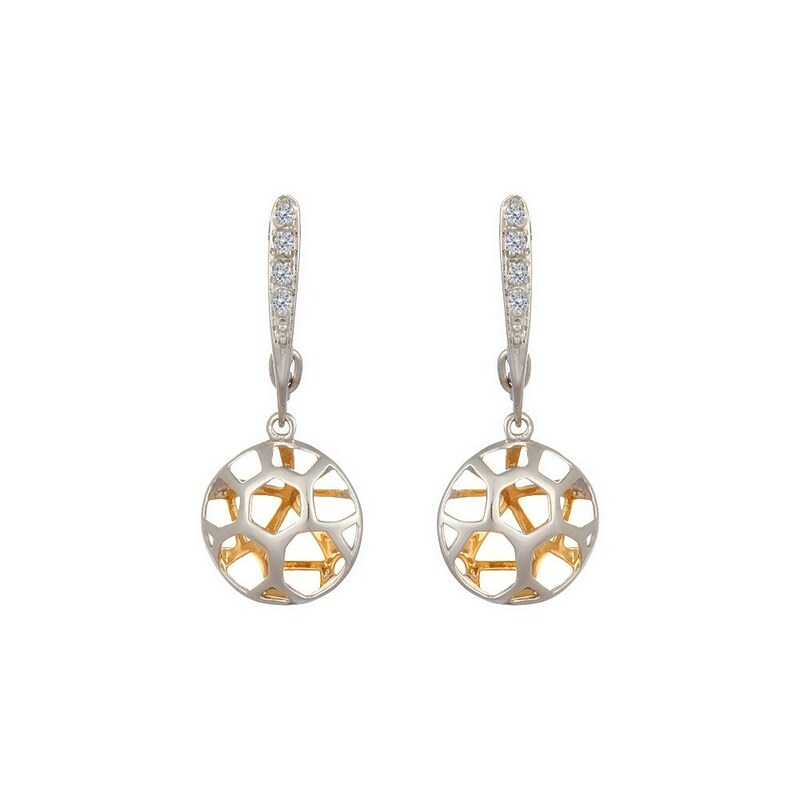 This pair of 14KT yellow gold and white gold drop earrings features eight round brilliant cut diamonds that are of SI2 clarity and I-J colour grade. 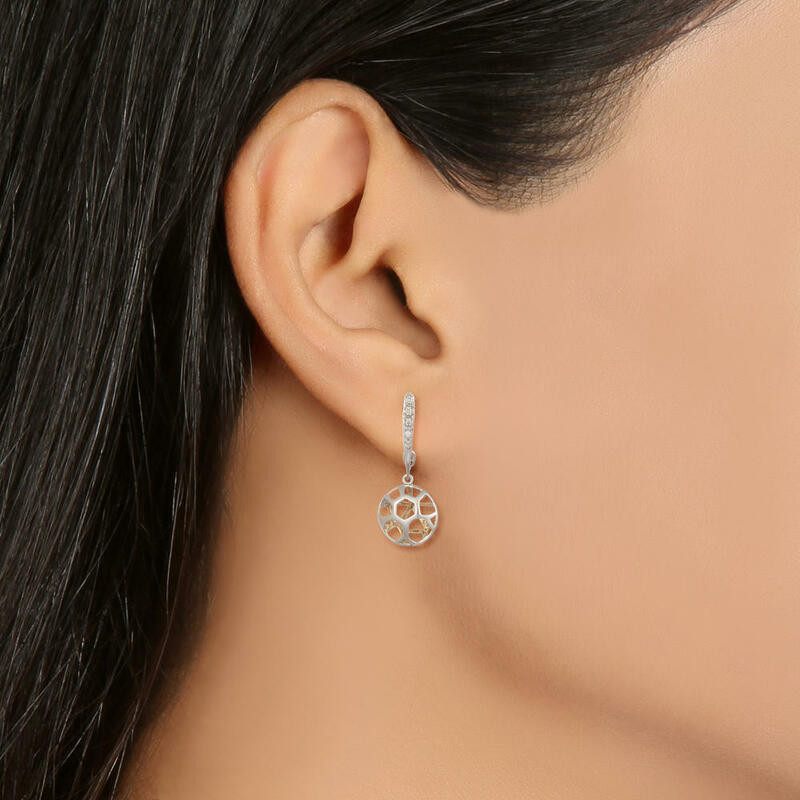 Each earring showcases a vertical bar with diamonds secured in shared prong settings. An open circular design is suspended from the lower part of the vertical bar by an O-ring. 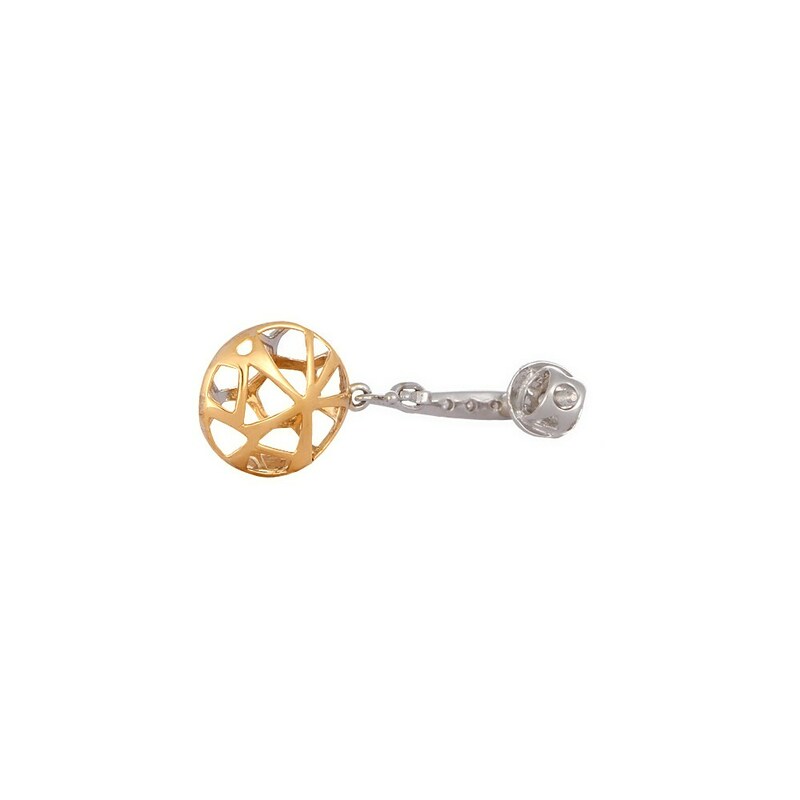 These high-polished earrings are safe and comfortable to wear, as they are fitted with screw posts and Bombay screw closures.